Nifty futures turned to positional buy mode in the 500 Tick Charts during yesterday’s noon session. Currently the support zone come near 5527 and reverse the position to sell mode if the support breaks on the lowerside. Infy Spot turned to positional buy mode since yesterday morning. Currently the support zone come near 2803 and reverse the position to sell mode if the support breaks on the lowerside. 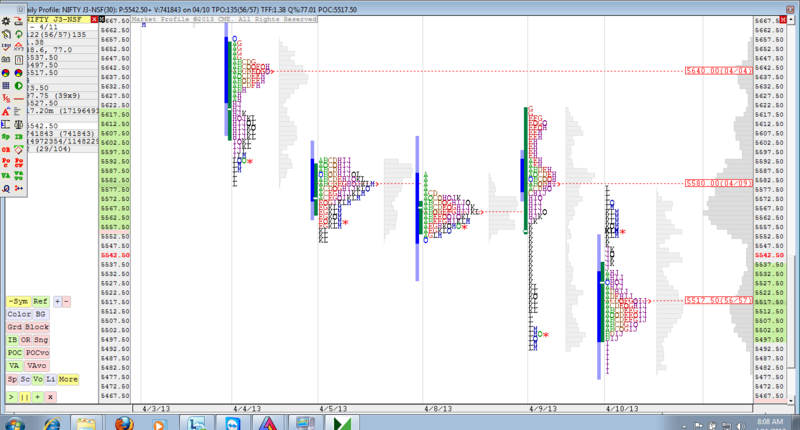 From the Profile Charts Value Area High (VAH) – 5537.5 and Value Area Low – (VAL) at 5497.5 and the Point of Control (POC) at 5517.50. Thanks for giving good software support for trading.